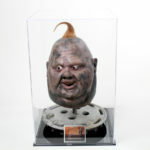 Leatherface is back in this custom hanging display for a screen used Texas Chainsaw Massacre 2 costume! Originally discovered with Drayton Sawyer’s “the Cook” costume from the same film, this suit coat and tie were worn by Bill Johnson who played the infamous character Leatherface in the sequel! 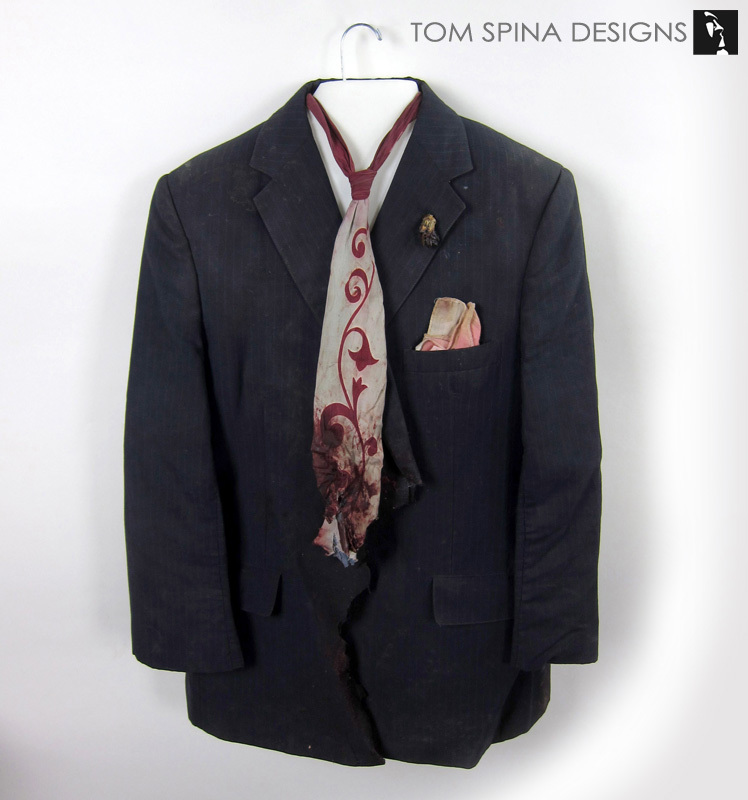 The client opted to go with a more museum style display for this original Texas Chainsaw Massacre 2 costume and we created a custom shaped torso form to create a hanging display of the heavily distressed suit jacket and tie, which still had it’s original dried flower on the lapel! Used in the climax of the 1986 sequel to The Texas Chainsaw Massacre, Leatherface’s costume is about as iconic as you can get from those films! 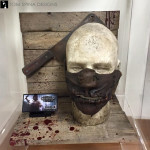 Our client wanted to create a simple, clean display to hang the jacket in a wall mounted case, so they needed a custom torso to help support the jacket to persevere these unique piece of horror movie history for the future. 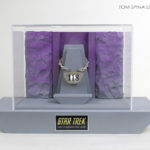 We created the customized torso form and then had an acrylic case fabricated with a white backdrop. 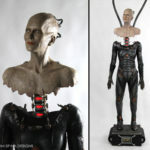 The result is a very clean, simple and museum style display that allows the focus to be on this classic 80’s horror icon’s costume! The buzz is back!